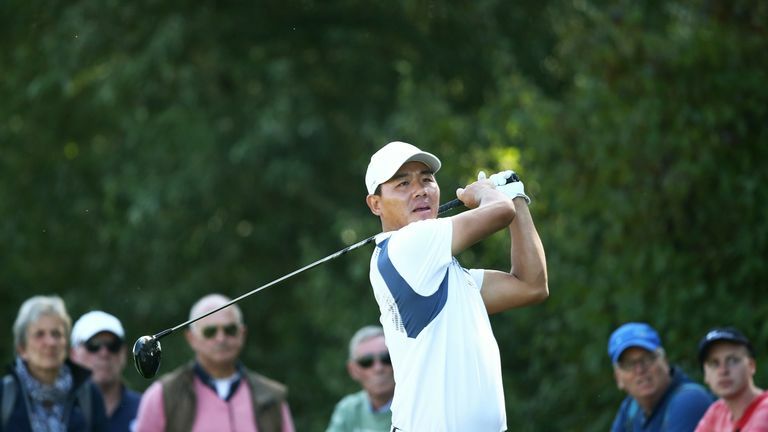 Ashun Wu claimed a first victory since 2016 at the KLM Open, as Chris Wood let a three-shot lead slip over the closing holes. Wu birdied three of his final five holes to post a four-under 67 at The Dutch and set the winning total of 16 under, with Wood finishing a shot back in second after failing to birdie the par-five last. Wood had taken a one-shot lead into the final day and moved three ahead after starting his back nine with back-to-back birdies, only to find water and double-bogey the 12th to give the chasing pack a lifeline. The Englishman birdied the par-five next to restore his two-shot cushion, only for Wu to follow a birdie-two at the 14th with a four-foot gain at the next to move into a share of the advantage. Wu - playing in the group ahead - fired his approach into the par-five 18th to 15 feet and two-putted for birdie to get to 16 under, leaving Wood requiring a final-hole birdie to extend the contest. Wood also found the green in two but three-putted from distance to close with a par and finish a shot short, while Thomas Detry and Hideto Tanihara finished two shots back in tied-third. Ryder Cup vice-captain Padraig Harrington claimed fifth spot, while Eddie Pepperell birdied his final three holes to close a six-under 65 and share sixth spot with Soren Kjeldsen, Bradley Dredge and David Drysdale.